The Spider-Man: Homecoming poster released earlier today is a work of genius, firmly establishing Tom Holland’s Spidey in the Marvel Cinematic Universe with humor, poise and subtly. Simply showing a superhero chilling out and enjoying himself feels vaguely subversive, especially in the face of the ongoing procession of DC’s Justice League scowling at the camera in been-there/done-that superhero stock poses. Now, Sony Pictures UK have released an accompanying poster that, sadly, is a little more conventional. 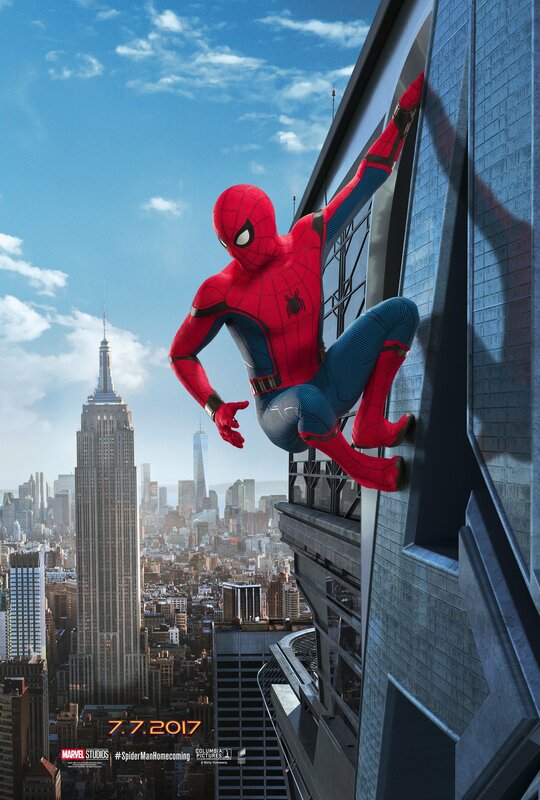 This one shows Spidey in a classic wall-crawling pose, clinging to the side of Avengers’ tower. I’ll give the poster designers this much credit; the way the crisp red of his costume pops against the cool blue sky and hazy city looks absolutely stunning. So far, I have high hopes for director Jon Watts’ take on Spider-Man. Tom Holland has already proven himself more than suited to the role in Captain America: Civil War and this solo picture looks like it’ll cement the character firmly in the MCU. The youngster will be assisted by the presence of Robert Downey Jr.’s Tony Stark, too, acting as Spider-Man’s mentor. Though given his behaviour in past MCU films, maybe Stark isn’t the best candidate to teach Spidey that with great power comes great responsibility. Based on the two posters released today, it looks as if Watts is setting out to wipe away the tortured, mopey Peter Parker we’ve seen so much of in Toby Maguire and Andrew Garfield’s take on the characters in favor of a slightly less tortured and more jokey webslinger – and that’s absolutely fine by us.